You know the health issues you face more than anyone. 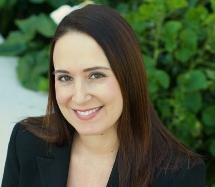 When the problems you face have prevented you from performing in the workplace and securing employment, a San Diego disability benefits attorney at the Law Office of Jennifer Zorrilla can help you get the financial assistance you need. My clients appreciate the dedication I put forth in each case I take on. The stress and frustration of chronic physical and mental disabilities can make applying for disability benefits through SSD or SSI exceedingly difficult. Contact me today for help in gaining the financial support you need to focus on your health and well-being. Having represented individuals in more than 300 administrative hearings, I provide my clients with more than the average law firm's assistance in benefits applications. A large part of dealing with the Social Security Administration involves litigating federal civil cases and representing clients in hearings. I can take on your case at any level of the process, whether that is the initial application, the hearing request, a paper appeal or an appeal in federal court. I have proven success all the way up to the U.S. Court of Appeals for the 9th Circuit, and I can do the same for you. My high level of involvement in the legal community has helped me develop productive working relationships with other key players in this area of law. I am a member of the Washington State Bar and the San Diego County Bar associations. I am also a member of the National Organization of Social Security Claimants (NOSSCR), the Lawyers Club of San Diego and the U.S. District Court for the Southern District of California. These relationships can be integral in helping you achieve the best possible outcome in your case.